It was just over a year ago, back in April 2012, that we first learned the intentions of a company known as Planetary Resources: Asteroid mining. As in going into space, finding an asteroid that's not-too-far from Earth, and mining it for precious minerals and/or water which could be used as space-fuel for other missions. In a word: Ambitious. A couple months later, we learned that Planetary Resources was considering letting your average Joe in on the action by using the crowd-funding site Kickstarter. A little odd for a company whose investors include Google's Larry Page and Eric Schmidt, James Cameron, and Ross Perot Jr, but part of the idea seemed to get people really interested (and, literally, invested) in space exploration, and rumored backer rewards included things being able to take photos with one of the exploratory satellites All has been quiet since last June, but we just got a hot tip that it's now officially official, and the Kickstarter Project has just gone live. 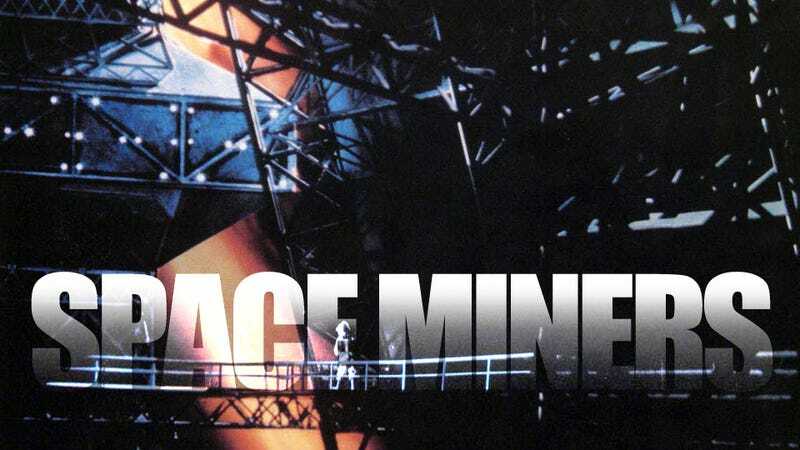 Would You Like to Be a Space Miner? See, in order to mine asteroids, Planetary Resources are going to deploy several different types of spacecraft. The first step is the Arkyd 100, a small, relatively inexpensive satellite with a telescope that will be put into Earth's orbit. These satellite telescopes are what they will use to identify the best potential asteroids. This Kickstarter is doing something unique, though: they are putting the controls of one of Arkyd 100s into your hands. The lower-end rewards include a space "selfie." For $25 a picture of your choosing will display on the Arkyd's screen, and it will take a picture of itself with the Earth in the background. That doesn't give you any actual control over the Arkyd, but for 25 bucks, that's still pretty damn cool. As you get into higher pledges, you get to stuff like the ability to use the Arkyd to take a picture of anything you want, in space or on Earth. For more money, you can keep track of that spot, or take a series of photos. You can also donate your time to science, or to schools. Planetary Resources is going to make extra time available for educational endeavors. UPDATE: The project has reached it's goal of one million space-dollars! A huge achievement, to be sure, but rather than rest on their laurels, they are upping the ante. If the campaign reaches US$2 million, Planetary Resources has committed to enhance the ARKYD with advanced technology to hunt for what scientists call extrasolar planets or “exoplanets” – which are very much alien worlds. For the first time ever, this capability will be placed directly into the hands of the public. Okay, now that is awesome. Space-selfies are cool and all, but to have the chance to help discover Earth 2: Habitable Boogaloo? That's pretty special. So, we've got 10 days and need another million bucks. Let's make this happen, people!